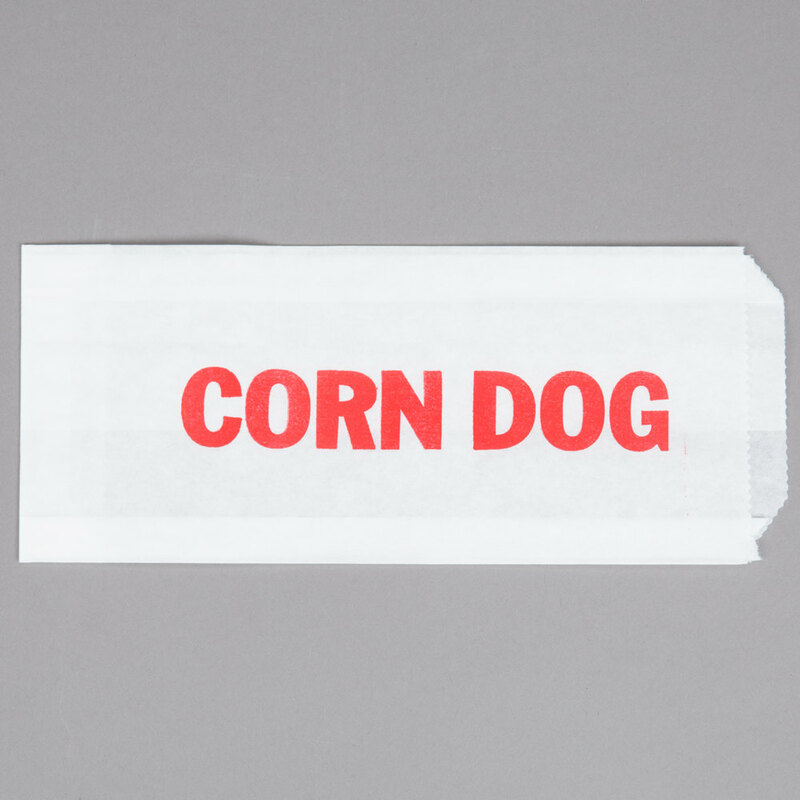 Perfect for your concession stand or vendor booth, these Carnival King printed paper corn dog wrappers are ideal for serving corn dogs to your on-the-go customers! Made of grease-resistant paper, these bags won't soak up grease or oils, which keeps your customers' hands clean. Complete with a brightly colored printed design, these bags enhance your serving venue's visual appeal. Catch everyone's eye at the big ballgame, carnival or other entertainment event.